Everybody is going green na nowadays. More people are becoming aware of environment and slowly incorporating earth friendly food, home furnishings, and clothes into ther lifestyle. 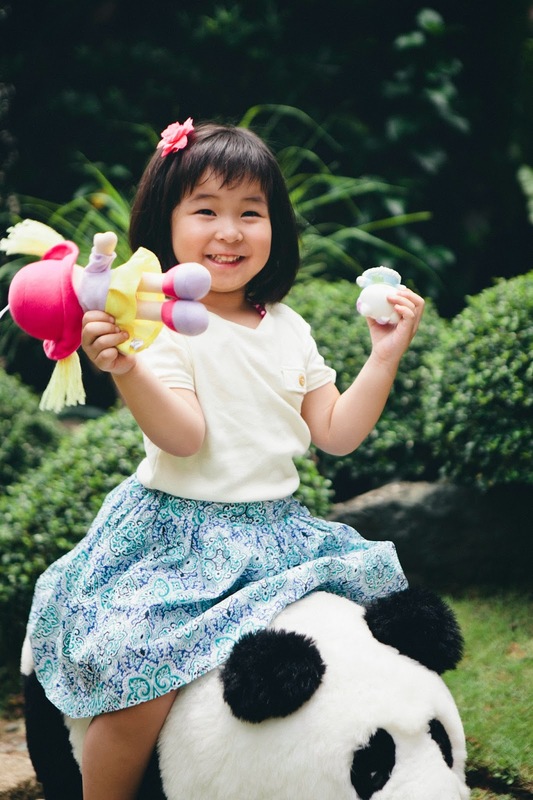 And because there aren't much earth friendly baby apparels available in the market, two mompreneurs, Jenny Chua and Carla Sy Su thought of making a line of baby apparel made from sustainable material. Hence, Pure Basics was born. 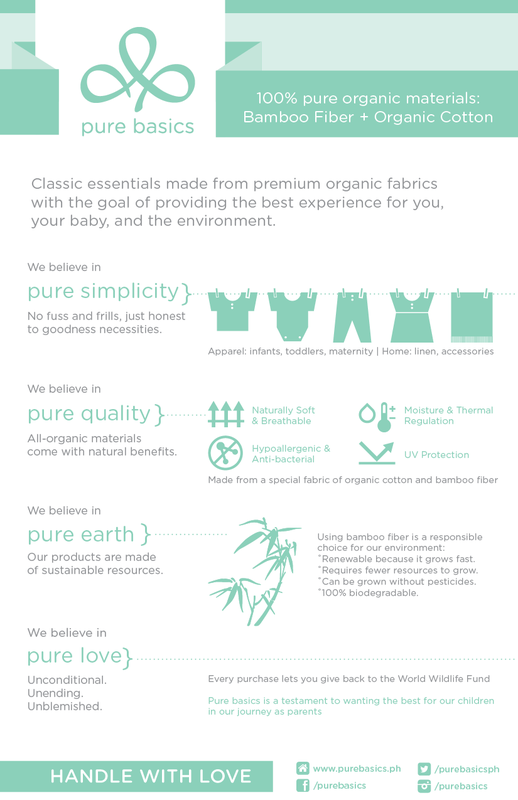 Pure Basics apparel is made from 100% organic cotton and bamboo fiber. Harvesting organic cotton is beneficial for farmers since it exposes the farmers to fewer chemicals from fertilizers and pesticides. 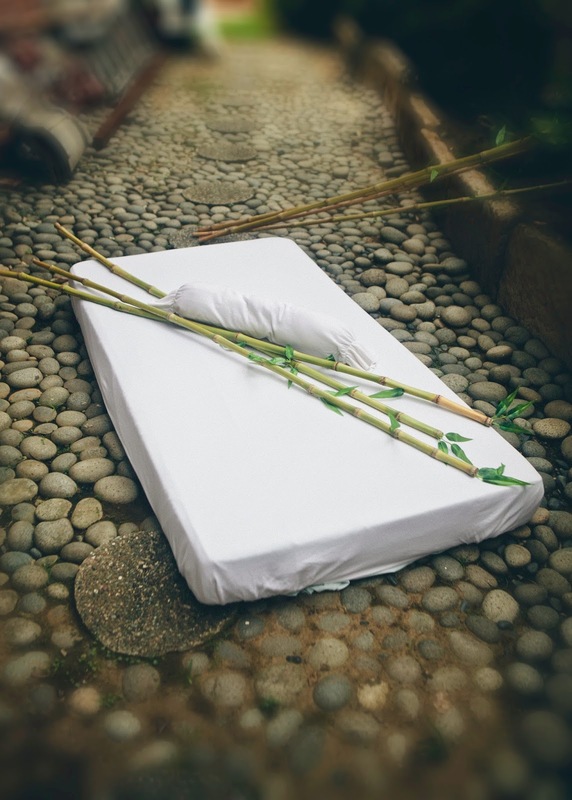 Producing bamboo textiles saves more trees from being cut down since bamboo grows faster and is much more abundant than other textile sources. When it comes to protecting the environment, every little step matters. 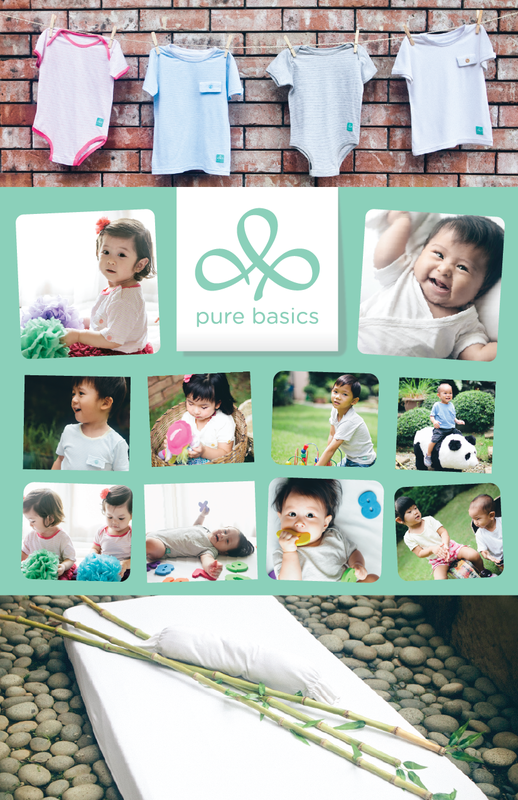 Pure Basics carries onesies, tie sides, tees and crib sets. All of these are super soft so you can be sure your babies are comfortable in them! And since we are in the topic of sustainabe living, more and more moms are using cloth diapers nowadays. I've used them for both of my kids. And with R, I invested more on cloth diapers and got different local brands and one of them is Bamboo Dappy! This is R at 4 months wearing Bamboo Dappy! And with him turning two in less than a month, I'm thinking of potty training him. And I'm glad that Bamboo Dappy has training pants! Bamboo Dappy is also made from real bamboo. 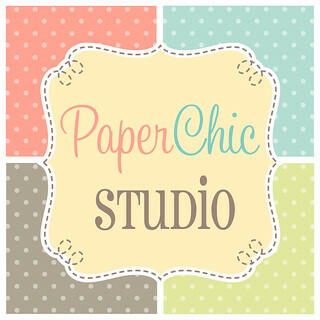 It's organic, hypoallergenic, antibacterial and soft to the skin. 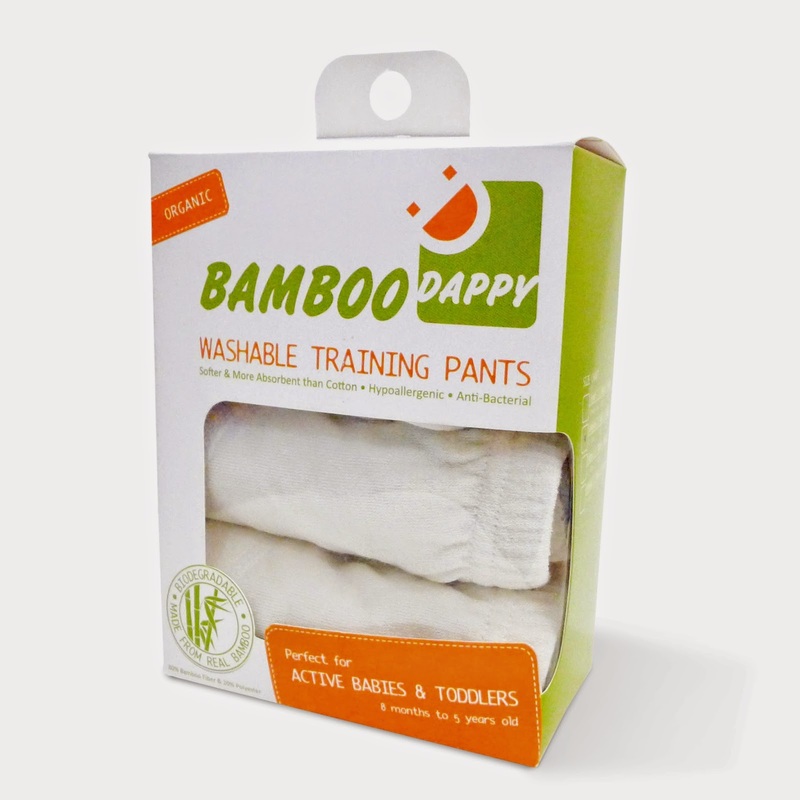 Did you know for every purchase of Bamboo Dappy Cloth Diapers, Php10 goes to WWF. Awesome right? 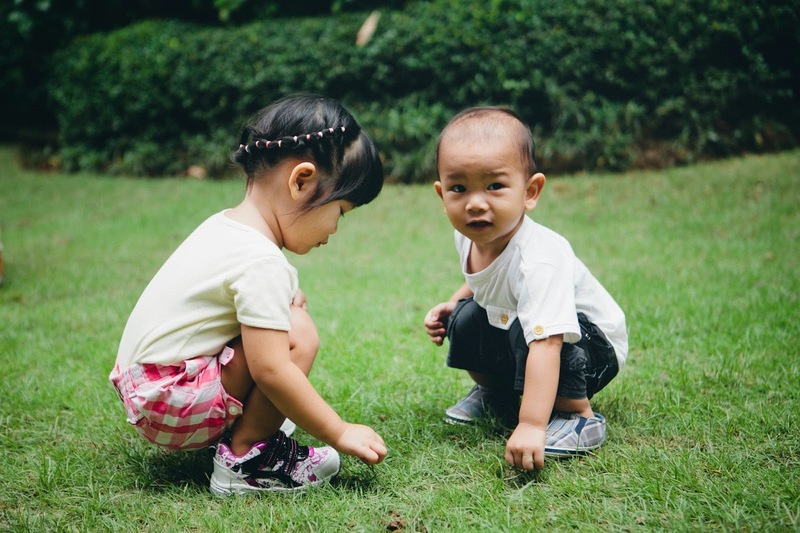 Let's make earth a more friendlier place by using only cloth diapers and cloth training pants! 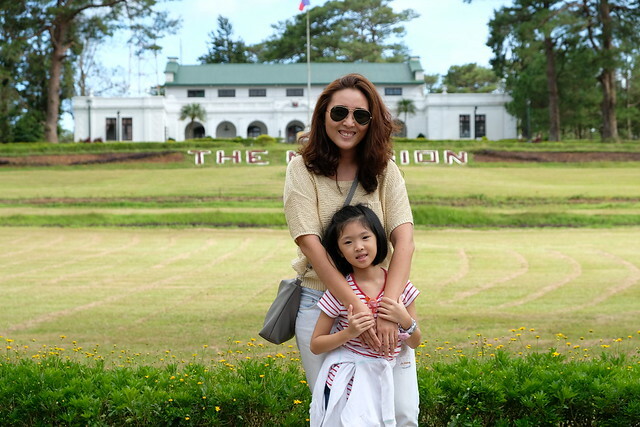 And of course wearing Pure Basics! Thank you Jenny and Carla for sending this box of goodies!